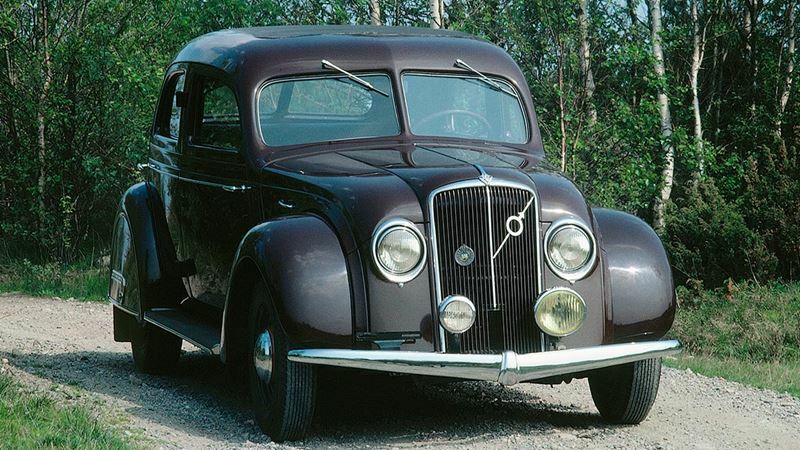 Volvo PV36 Volvo also adopted the streamlined trend of the 1930s and in 1935 introduced the PV36, popularly known as the "Carioca". The car featured independent front-wheel suspension with wishbones and coil springs and a very sturdy all-steel body with rear wheel spats. The body not only looked modern, it was also very safe as was proven in some serious accidents. In-line, 6-cylinder, side valves 3,670 cc(224 cu in) 84.14 x 110 mm; 80 bhp at 3,300 rpm. Wheelbase 116 in; weight 3,860 lbs. Silent, smooth, expensive and slightly controversial, only 500 "Cariocas" were built and sold. Max speed was 120 kph.